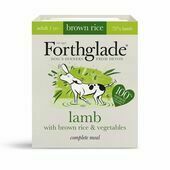 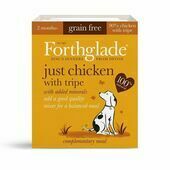 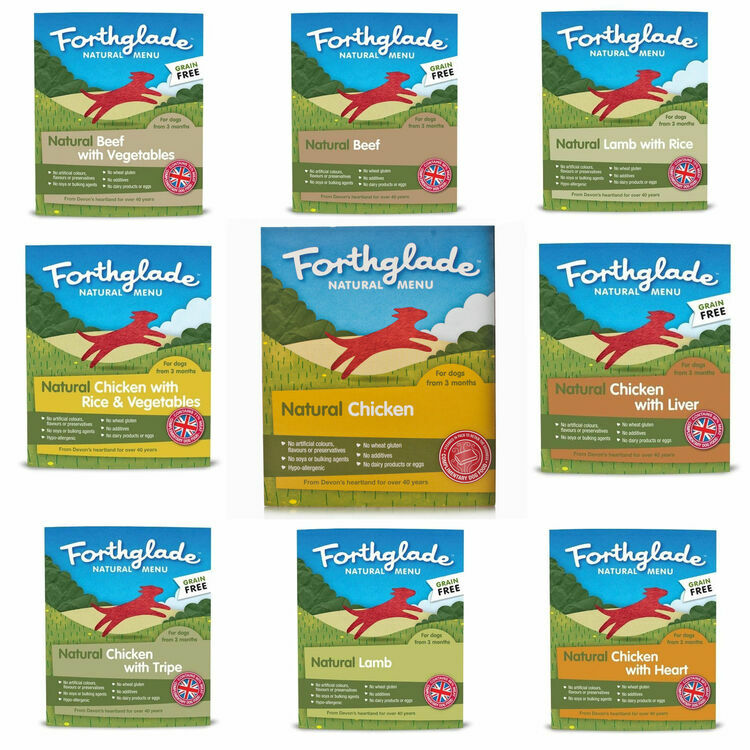 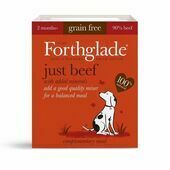 With nine delicious flavours for you and your pet to choose from, Forthglade Natural Menu is rich in animal protein and has been formulated so that it perfectly in tune with a dog's physical needs! 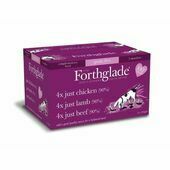 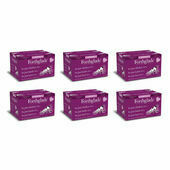 Choose 2 boxes of pet food from 9 flavours - each box contains 18 x 395g pouches so 36 pouches in total. 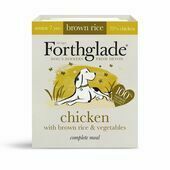 With a nutritional value far superior to that of cheaper alternatives, the recipes used to create Forthglade Natural Menu pet food are 100% hypoallergenic to ensure that the animals who eat them get the very most from their food. 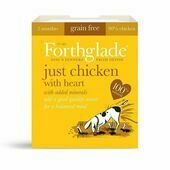 What's more, to preserve the food's natural goodness, each meal is gently steamed and then vacuum sealed. 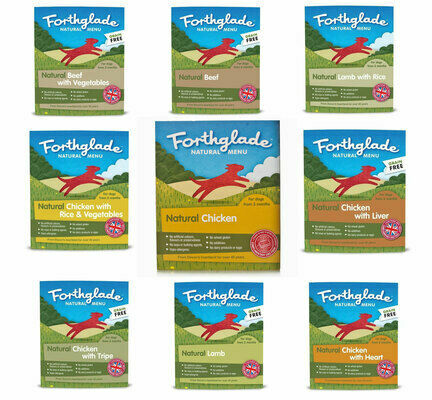 Free from artificial colours, flavours and preservatives, Forthglade Natural Menu wet pet food is perfect for mixing with dry kibble or biscuits, and contains absolutely no soy, wheat gluten, dairy, eggs, 'E' numbers or GMO ingredients. 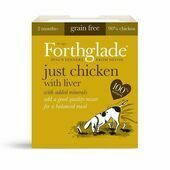 Please Note: Each product has a guaranteed shelf life of 9 months from date of manufacturing.